Have questions about vacation travel? What do women themselves say about female-only travel? 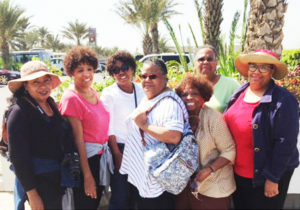 When Upper West Sider Sheryl McCarthy decided to turn her dream of a trip to Africa into reality, she went through Aviva Travel Group, run by Ruth Bridges, a retired librarian who started Aviva by arranging a weekend literary retreat for members of her reading group. “I could not have made a better choice,” Sheryl told me. “As an African-American woman, I wanted to go on my first trip to Africa with other African-Americans, to feel a certain connectedness going back to our roots.” Click here to read the entire article. Copyright © 2019 AVIVA TRAVEL GROUP. All Rights Reserved.